South Nampa (12th Avenue) Location Coming Soon! 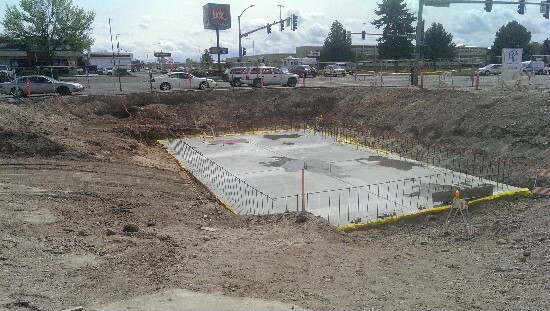 Construction is officially underway on our new 12th Avenue location in South Nampa (across from Nampa High School)! Opening day is set for early August. We’re looking forward to serving the south side of Nampa this summer! Having a car is a necessity for most people, but buying and selling one shouldn’t cause headaches and waste time. Industry insiders know there are steps that can help both buyers and sellers maximize their investment while minimizing stress. Financially savvy car buyers understand that buying a brand new car is expensive. In fact, new cars decline in value by about 25 percent each year for the first five years, according to Edmunds. That means if you change your mind next year, your $40,000 car will only be worth $30,000 (and chances are if you financed it, you owe more for it than it is actually worth). Instead, research the car you’d like to own and look for one a year old, with less than 15,000 miles on it. That will instantly save you money. Also, allow yourself some time to shop online and in person so you can find the price you want without feeling pressured to buy on the spot. Remember, there will always be another car you like – you don’t have to make rushed decisions. Most people leave money on the table by simply trading in their vehicle when they purchase their new one. You should negotiate your purchase without any sort of trade-in taken into consideration. The same goes for negotiating the sale of your old car. By separating the two, you are able to focus on the getting the best outcome in both transactions. Third-party history reports on automobiles are a great starting point when you are looking to purchase a used vehicle. But half of motor vehicle crashes go unreported, and more than 450,000 vehicles each year have false odometer readings, according to the National Highway Traffic Safety Administration. 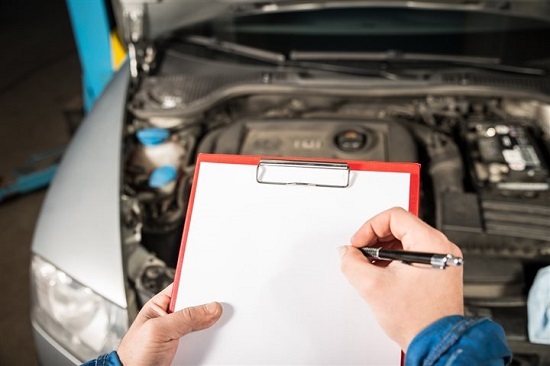 Whether from a dealer, private owner or personal friend, always get a comprehensive inspection done on used vehicles before signing anything. Having an accurate picture of the current state of everything from the motor to the air conditioner could affect the price you should be paying. Car repairs are an inevitable part of car ownership. However, extended warranties provide peace of mind and can save you a lot of money on repairs once a manufacturer’s warranty is up. Shop around to get the highest-quality plan for the lowest cost from a reputable company. Do you have kids who would like to give fishing a try? 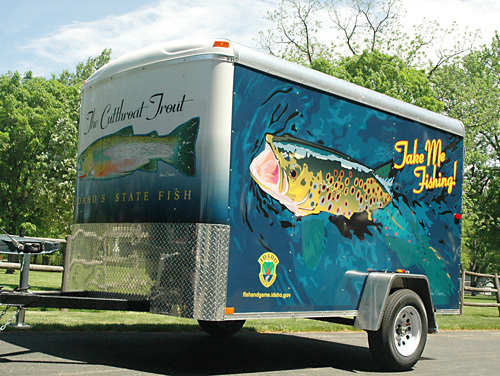 The Idaho Fish & Game Department’s “Take Me Fishing” trailer will be visiting Kleiner Park (1900 N Records Ave in Meridian) tomorrow (4/11) from 10am-2pm. FREE fishing poles and tackle are provided for use during the event and Fish & Game personnel are on hand to teach fishing basics. Reservations are not needed and equipment is checked out on a first-come, first-served basis. Participants will be granted a permit to fish without a license. Wrapped with vibrant fish illustrations, the trailer is hard to miss. The only thing kids and their parents have to do is show up! 124th Fighter Wing, Idaho ‎2015 Easter Egg Hunt—Saturday April 4th 10-11:30am (FREE): Games, Face-painting, special prize for each hunt. Event to be held at the Gowen Field Softball Field (located across from the chapel). RSVP is required. 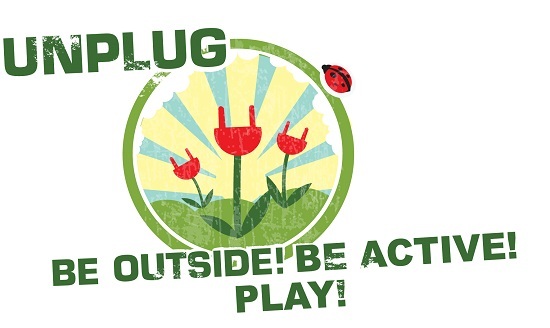 Simply e-mail your children’s ages to leann.d.edwards.ctr@mail.mil or call 208-272-8397. Schedule: 10 am Ages 0-3, 10:30 Ages 4-5, 11 am Ages 6-7, 11:30 am Ages 8-10. Community Easter Egg Hunt – Julius Kleiner Park–Saturday April 4th 11am-3pm (FREE): Live kids show, skydiving Easter bunnies, bounce houses, food trucks and a mascot dance off with the Easter Bunny! The first show starts at 11AM, followed by the 1st egg hunt. Skydiving Easter Bunnies will get to the park at approximately 12:30pm, followed by the 2nd kids show at 1pm and the 2nd egg hunt. Meridian Optimist Club 38th Annual Egg Hunt–Saturday, April 4th 11am (Meridian Elementary School–1035 NW 1st Street, Meridian) (FREE) : Egg Off will be at 11:00 a.m. sharp so get there a little early for a great spot! All kids ages toddler through 10 years of age are invited to participate. Pool Easter Egg Hunt–Saturday April 4th 1-2pm (Nampa Recreation Center): Come enjoy a new way of hunting Easter Eggs! Kids will have the challenge of looking for eggs hidden in the pool. There will be prizes for eggs found, so “hop” on in and don’t forget to bring a waterproof bag to collect your treasures! Ages 5 and under, 1pm; Ages 6-8, 1:30pm; Ages 9-12, 2pm. Free with NRC admission. For more info call 208-468-5858. Flashlight Easter Egg Hunt–Saturday April 4th 8-9:30pm (Nampa Recreation Center) (Cost: $3): The Nampa Parks & Recreation Department has added a twist to your traditional egg hunt . . . .hunting in the DARK. Join the festivities for the annual Flashlight Easter Egg Hunt. Music & live entertainment will begin at 8pm and the hunt will begin at 9pm. Bring your own flashlight and search for every last egg. Ages 13-17. Eagle Christian Church Easter Egg Hunt—Saturday April 4th 6:30 pm (100 Short Rd Eagle, ID 83616) (FREE): 25,000+ Easter Eggs and one mad dash for your children to gather as many as possible! All children are invited to attend! Eggstravaganza—Saturday April 4th 11am-3pm (New Heights Church 9950 Ustick Rd Boise) (FREE): Huge community party! Attractions include bungee hopper, bounce houses, crafts, face painting, egg hunts and more!